I had to lay down in the road to get this view. For a brief moment out of my life I took an exciting and risky chance in order to get a clearer perspective of what was mapped out in front of me. 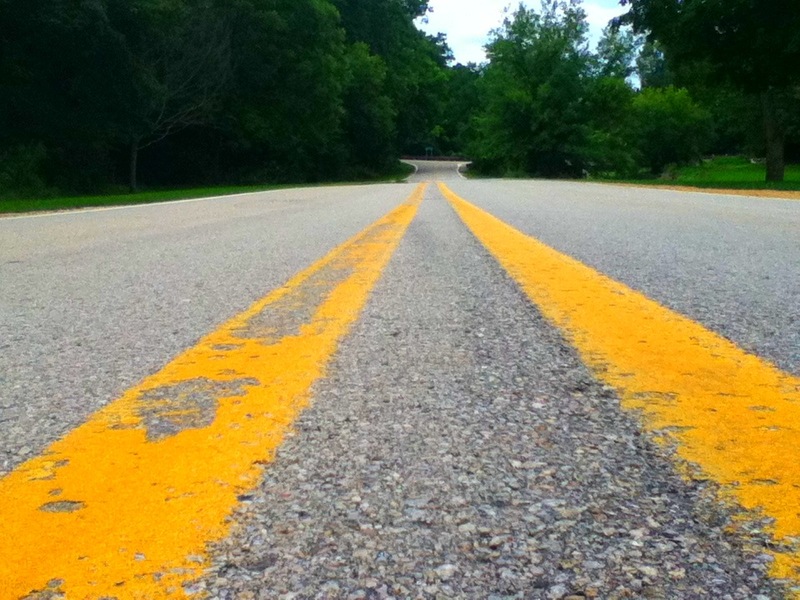 I remember enjoying the heat of the road and the somewhat unfamiliar texture of the cement while intentionally swiping my finger across the yellow stripe... I love how you can see the two vanishing points where the road forks left and right. 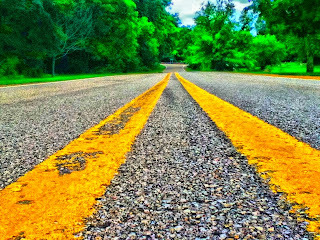 I think a road picture is a good metaphor for life. So, there you have it! What do you think?